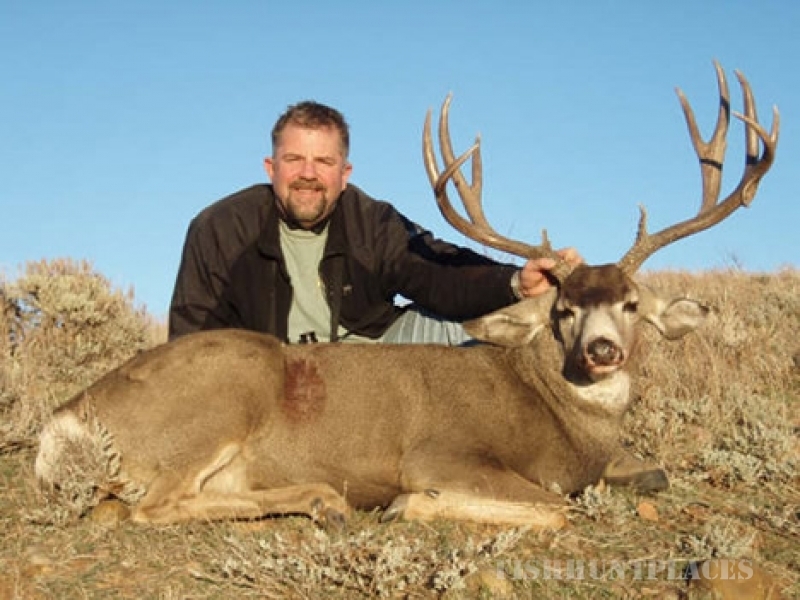 The DD Ranch offers a 4-night 5-day semi-guided hunting package for trophy Mule Deer and Whitetails. This semi-guided package includes all meals, lodging, transportation to and from your hunting area, and popular beer and soda beverages at the end of the day. 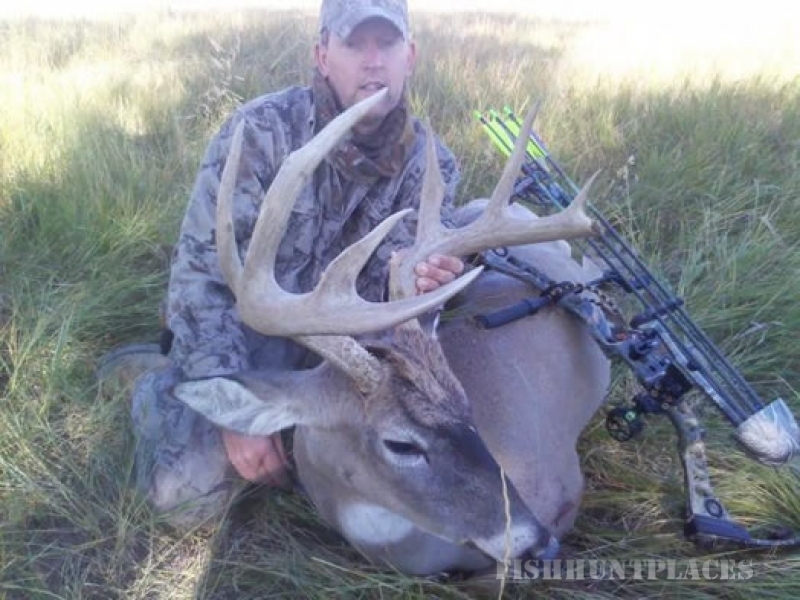 The DD Ranch does offer guided and unguided hunts but the basic package is a semi-guided hunt. Guides usually run 1-4 hunters on a semi guided hunt. Only fully guided hunts are one on one. Hunters are transported to the hunting area by our trucks unless other arrangements are made in advance. The DD Ranch consists of 70,000 acres of privately owned land on different ranches in western Nebraska that sits adjacent to tens of thousands of acres of public land, giving our customers an unlimited amount of hunting ground. These are working ranches and we let the ranches conduct business as usual and without them changing their schedule. We are located near Chadron, Nebraska, which is on the Wyoming and South Dakota border. The DD takes a very limited number of hunters a year on the ranches to ensure quality trophy deer every year for every hunter. Only trophy deer are harvested. Our deer are 100% wild and not fenced. This is a TRUE hunt!! We will be hunting areas that consistently produce great animals for us year after year. 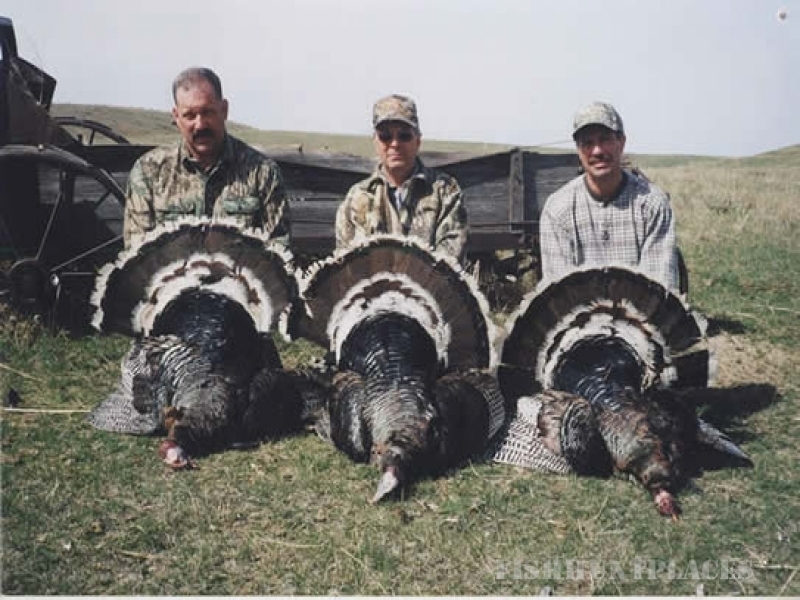 The DD Ranch also provides combination South Dakota and Nebraska deer, turkey and antelope hunts so hunters can have a double state grand slam!! We have changed our name from DD Trophy Deer Ranch to DD Trophy Deer Outfitters due to all of our new and exciting hunts we provide in conjunction with our trophy deer hunts. These new hunts include turkeys, antelope, buffalo, ducks, pheasants, mountain lion, grouse, prairie dogs, geese, and coyotes. Are old web site was www.dd-trophy-deer-ranch.com and old pictures can still be viewed there. The new web site is now www.ddtrophydeer.com We have a GREAT fun filled time on all of our hunts with LOTS of animals being seen EVERY day! Being a hunter myself, I believe that every hunter wants to have a shot at a trophy deer and the DD provides that opportunity. The DD Ranch is a new hunting ranch and 2001 was the first year we took out hunters. 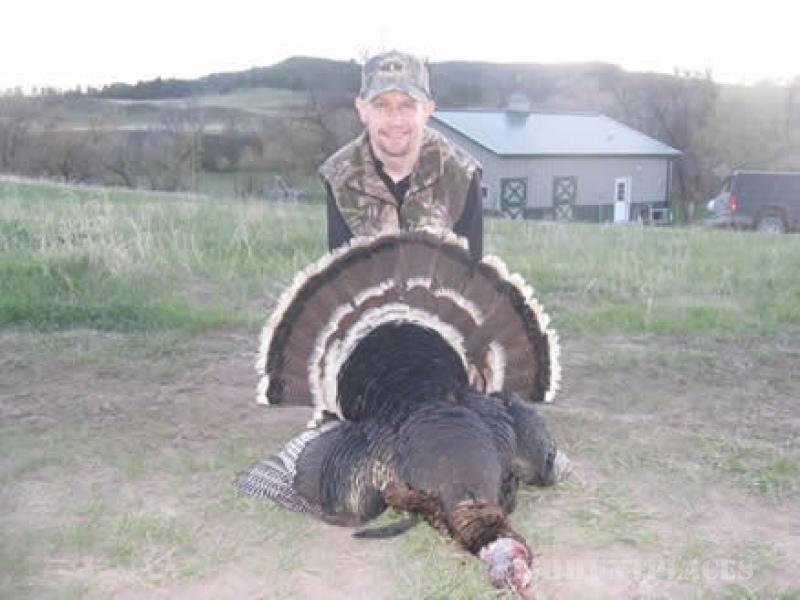 Over the past 10 years, the DD has offered MANY TROPHY Whitetail and Mule Deer as well as antelope and Merriam turkeys. The DD Ranch requires each deer that is harvested to have a minimum of 4 points on at least one side. This will ensure trophy deer every year. 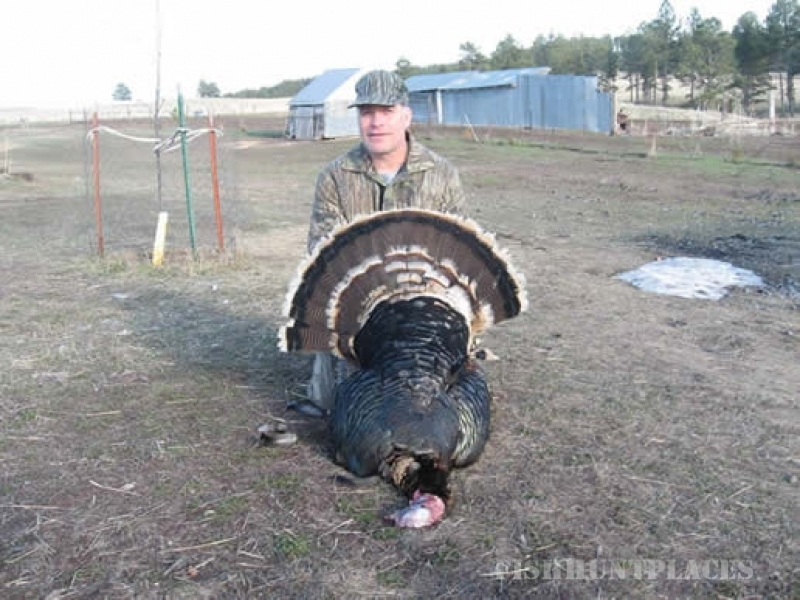 Because the DD is a well known proven successful hunting service and takes only a limited amount of hunters, we recommend that you book early. 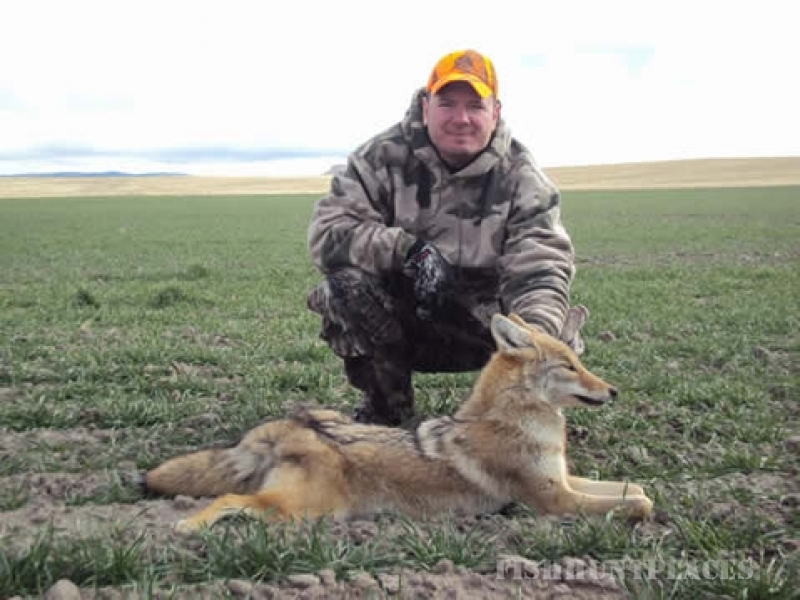 We also offer coyote calling and hunting, Merriam turkey hunts and antelope hunts. Doe deer can also be shot on the ranches for free with a tag depending on the year. We have lots of fun out here! !Many outdoor hunting shows have been filmed and aired highlighting our operation! The DD believes in superior hospitality. We will cater to almost all reasonable requests. We want our hunters to leave our ranches and honestly say that they had the hunt of their life. The DD will provide transportation from Chadron, NE for free and from Rapid City, SD for $70 a person round trip. We also provide all transportation on the ranches and the use of all terrain vehicles are used to transport downed game out of the field. We want our hunters to have the time of their life while away from home. We believe an excellent deer hunt requires more than just trophy deer. The fun really starts at the end of each day with a hot meal and all the beverages you want. We house our hunters in our main lodge, bed and breakfast facilities, and hotels depending on time of year and number of hunters in camp. We want our hunters to become lifelong friends so I guarantee that our hunters will be catered to in the fullest. Do not be afraid to ask! If you have any concerns at any time with any situation, please inform me personally (Dan Casey) or call me or tell my staff to contact me so you can express any concerns immediatlley and we can try to resolve any issues that may arise on the spot to make sure you get a quality hunt and have a great experience hunting with us. It is too late to correct any issues after the fact and we are here to show you a great time so let us know. 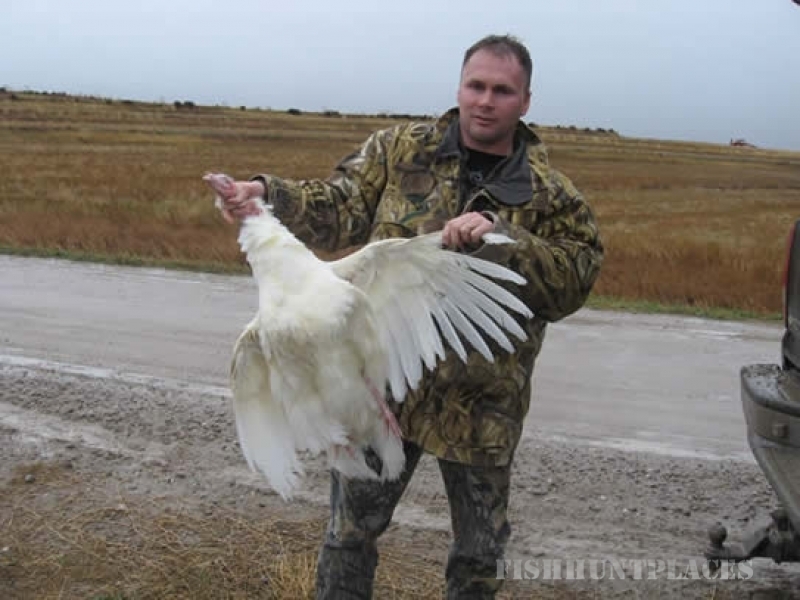 We will try to accommodate to any request to ensure that your hunt was a success. 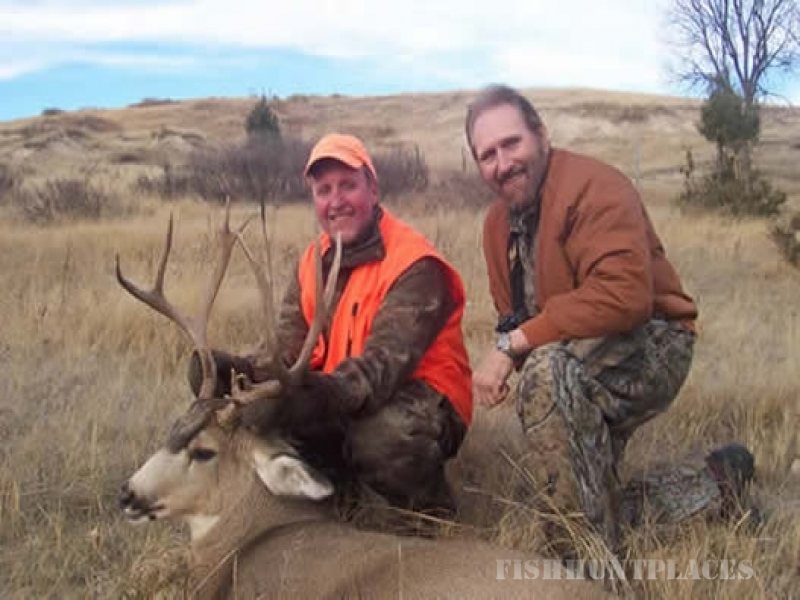 Though we ALWAYS do VERY well and have very high success on all of our hunts, this hunt is NOT a guarantee that you will harvest the game you pursue. This is a true wild hunt. Our guides try very hard to make sure everybody harvests a quality animal but hunting is hunting and sometimes your tag may go unfilled. We are very good at what we do so relax and enjoy the hunt! 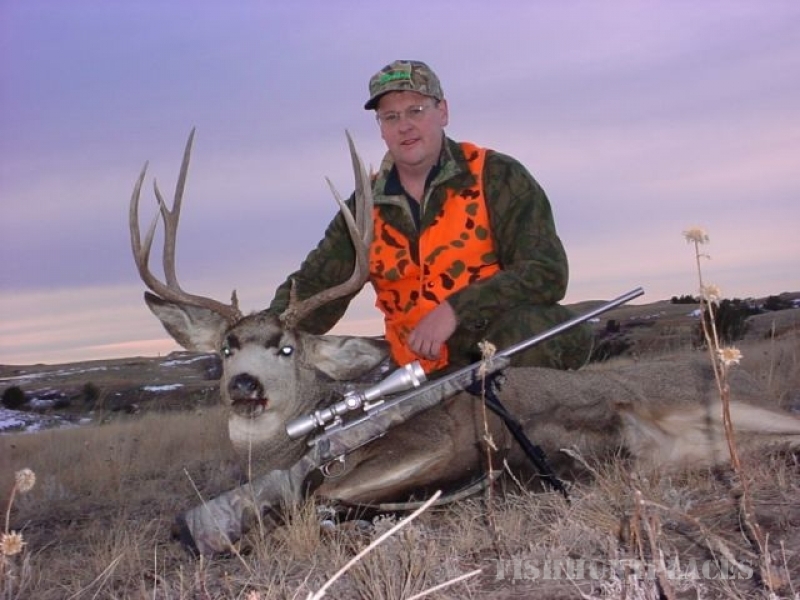 The rifle season is during the rut, which allows for super successful hunting. 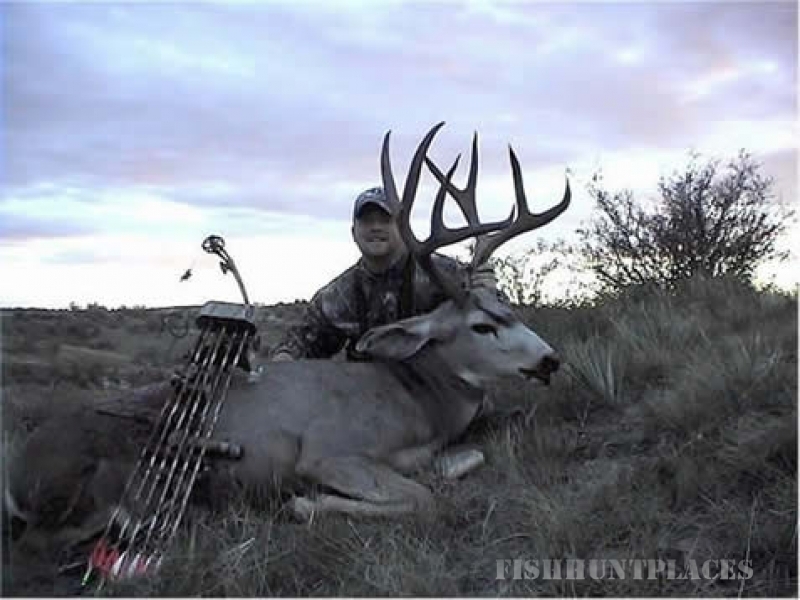 Rifle success rates are in the range of 90% to 100% on both whitetail and mule deer hunts EVERY year! 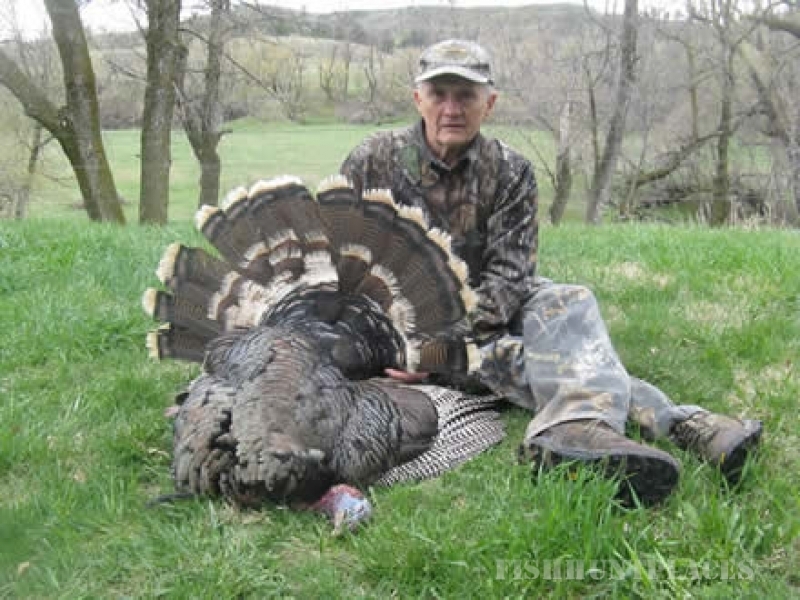 We do very well on all of our hunts but especially our rifle hunts! At DD Trophy Deer Outfitters, we would like to think that we treat you like one of our own. Because of this belief and philosophy, we only take a limited number of hunters each year. By doing this, we can do our best to make you feel at home and get the most enjoyable outdoor and hunting experience possible!